For this road test the journey commenced in the Melbourne Bayside area with a trip down to Frankston and beyond, returning via the new Motorway from the Mornington Peninsula. The two-litre, four-cylinder, all-wheel drive XC90 D5 Inscription test car was particularly pleasant and relaxing on the Motorway and that’s where it felt right at home. 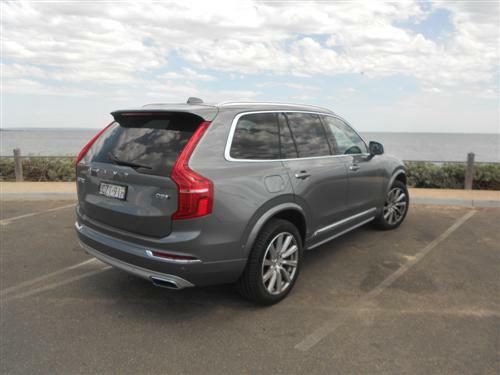 With the active cruise control set on the speed limit, the atmosphere in the cabin felt so relaxed, and coupled with Volvo’s best in class seats, that I’d have happily steered all the way to Sydney and beyond! The cabin, once you’ve familiarised yourself with all the climate and seat ventilation (it’s loud!) 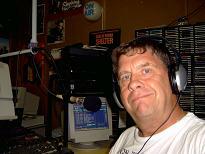 settings, is one of the quietest cabins I’ve sampled. Quite likely, most XC90’s won’t live the “Freeway life” and will spend a lot of time commuting between homes, schools, sports arenas and work places. It will do all that just fine; though, if you astutely acquire one, every once in a while set it free and go cruising our fine countryside. City life for the XC90 is no chore; it’s less cumbersome than its predecessor and visibility (albeit already great on the previous model) has improved again. The test car came with parking sensors all round and a 360-degree camera with much improved resolution. Same as the generation before, the interior is comfortable and easy to configure to meet the most demanding of 7-seater needs. It’s an expensive proposition now – quality-wise I feel this Volvo is up there with the best in class; it may even lead this particular class. Cabin execution is impressive. Both occupants on our trip agreed that the cabin was one of the most solidly built units they experienced. The user interface is fairly simple and intuitive; though, I much prefer dials for simple tasks like controlling the cabin temperature. The ventilated seats in the test car were too noisy; any cooling comfort I felt negated the quiet ambience of the cabin and I’d not tick this on the options box for that reason. In summary, a great family SUV that emphasises comfort and safety and is extremely well built. Especially if you like the brand you won’t be disappointed; and, if you’re new to considering the Volvo brand, it is well worth exploring. 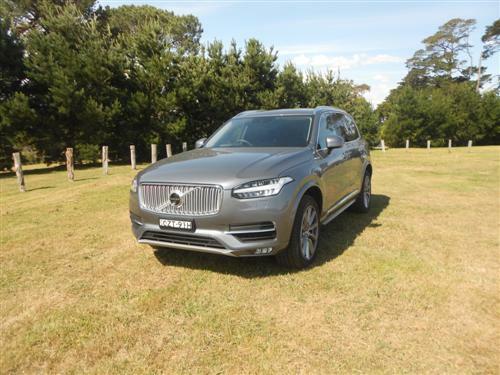 The expansive Volvo XC90 line-up is priced from $89,950*. The D5 Inscription is priced from $96,950*. 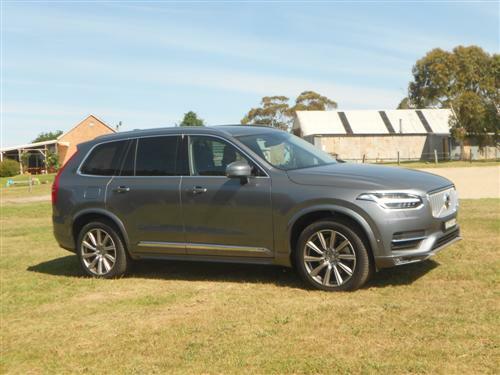 Our test car was fitted with numerous options which took the price of our Volvo XC90 D5 Inscription drive car to $121,445*.